Does Whedon’s last venture into the Marvel Cinematic Universe live up to the hype? Things get darker and more personal in the action-packed sequel to the X-Men: First Class prequel. When a film is hyped up as much as Avengers: Age Of Ultron has been, finally sitting down and seeing it can sometimes be a bit of a let down. The visual effects are shoddy, the best lines were all used up in the trailers, there’s not much more to the story and so on. Thankfully, Age Of Ultron is totally not one of those cases. Buy into the hype: it’s real, teeming, and just getting started. 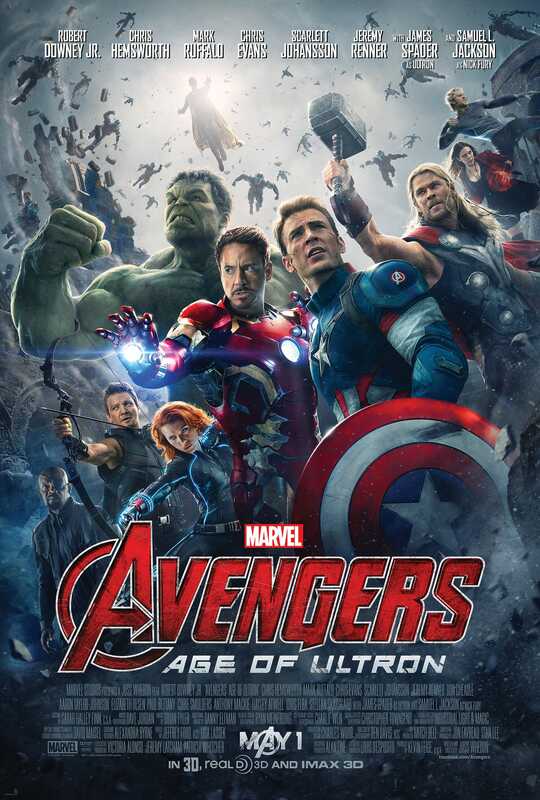 If you liked Avengers Assemble, there’s no way that you won’t enjoy Age Of Ultron. Joss Whedon has shaken things up a bit, changed the filming style slightly and brought in some new players, but it still retains everything that was great about the first one – the action sequences, the fun quips, the colourful VFX, the sheer vastness of it – and kicks it up a notch. It’s not necessarily on a larger scale. The events with Loki and the Chitauri army in New York have greater consequences than the climax of Ultron’s campaign of villainy, but in no way does Age Of Ultron feel small in comparison. When Tony Stark (Robert Downey Jr)’s plan to make protecting the Earth from aliens even easier goes very much awry, the Avengers are forced to rally together once again to undo his handiwork. Things get interesting, owing to the fact that HYDRA infiltrated SHIELD during Captain America: The Winter Soldier, and no one really knows who they’re supposed to be siding with. Relationships change, new alliances are formed, and it’s all just super exciting. All the big players are on top form as always. Neither the character line-up nor the cast have weak links among them. After the first film, Mark Ruffalo as Bruce Banner stood out as someone who definitely needed a Hulk movie that would actually do the character justice, and that’s still the case for Age Of Ultron. Visually and conceptually interesting dream sequences, heartfelt conversations and huge reveals that could potentially blow your mind right out of your head mean we finally get to learn more about the characters that are yet to get their own solo movies, especially Black Widow (Scarlett Johansson) and Hawkeye (Jeremy Renner). The internet rumours are true, by the way; Hawkeye does get the best lines, and he completely slays them. Clint Barton haters are about to become an endangered species. The lengthy running time means that all the new characters, of which there are many, get as much exploration as they truly deserve. Ultron (James Spader) is smooth and menacing – the perfect choice for the Big Bad. Scarlet Witch (Elizabeth Olsen) is just the right level of intense, and has so much potential for future storylines. Quicksilver (Aaron Taylor-Johnson) had a lot to live up to considering how spot-on Evan Peters’ take on the character was in X-Men: Days Of Future Past, but Taylor-Johnson makes it his own and it pays off. Throughout Age Of Ultron’s marketing campaign, The Vision (Paul Bettany) has been kept under a special blanket of secrecy, with images of the character only popping up over the last few weeks leading up to the release. Whatever you’ve been expecting from him, and whatever you’ve wished him to be, there’s a good chance you won’t be disappointed. The blanket of secrecy was a good move on Marvel’s part. It makes the lead up all the more exciting. It’s difficult to sit through Age Of Ultron without feeling like a child. It’s fun, touching, exciting, funny, enthralling, moving and spectacular, and it makes the fact that it could be Whedon’s last MCU adventure even more upsetting.